Absolutely Incredible, Move-in Ready Seal Beach Home In The Prestigious Area Of College Park East. The Main Floor Features A Formal Dining Room, Living Room With Cozy Fireplace, A Large Entertainerâs Kitchen Boasting Granite Countertops, Custom Tile Backsplash, A Double Oven And A Breakfast Nook. Also Downstairs, There Are Two Huge Bedrooms, One Full Bathroom And A Huge Bonus Room That Can Be Used As A 4th Bedroom. Upstairs, You Will Find An Incredible Master Suite Showcasing Soaring Vaulted Ceilings, A Large Retreat With Built-Ins, A Huge Walk-in Closet With Custom Built-ins, A Private Balcony And A Gorgeous Master Bathroom With Dual Vanity Sinks, Granite Countertops, A Large Soaking Tub And A Separate Glass-enclosed Shower. Additional Features Include Plantation Shutters, A Huge Private Backyard, Mature Fruit-bearing Citrus Trees, And An Oversized Attached 2-car Garage. 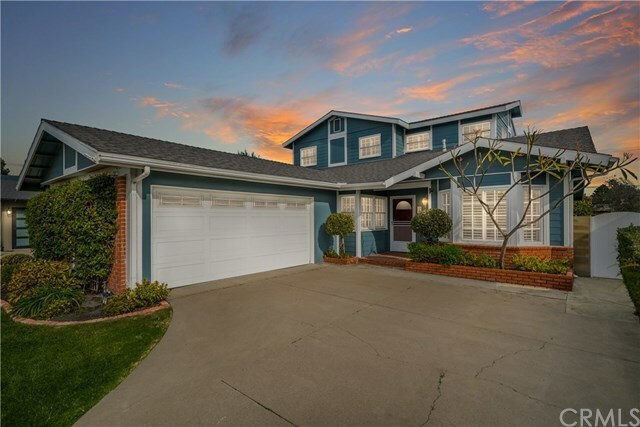 Conveniently Located To Nearby Shopping At The Old Ranch Town Center And Rossmoor Center, Old Ranch Country Club, Access To 405, 605 And 22 freeways And In The Highly Acclaimed Los Alamitos School District.